Up-and-coming rapper slowthai has been emerging over the last year as one of the biggest names to watch. With lucid self-awareness, his music is fast becoming a soundtrack for the disenfranchised youth growing up in Brexit Britain’s society. With an identity so tied to our current politics, the selection of eleven dates was branded as the ‘Brexit Bandit Tour’. As I stepped into the Ritz, it became immediately apparent that the crowd seemed to thrum with excitement as it awaited the sold-out act. Slowthai began his frantic and chaotic set with hit ‘Polaroid’. As the chorus of “Kodak moment, polaroid picture, shake it, yeah yeah” rhythmically recited over the crowd they began to jump. The frenzied groups of Supreme-clad boys jostled and beamed up at their hero. Right from the start of the show, it was clear that slowthai’s ownership of the stage had the kind of presence artists far older and more experienced haven’t mastered yet. His confidence was so obvious and his delivery was perfect – the lyrics were delivered with rapid but perfectly executed speed. As he dedicated ‘ladies’ to all of the women in the crowd, something felt incredibly current about slowthai. His lyrics – wonderfully well-composed and carefully curated – tell the tale of what it’s like to grow up in the working-class areas of the UK. There’s something refreshing about his honesty, with lines like “tried talking to God, can you help me out? Never got a response, only asked as a child” striking a particular chord. It’s a story many are familiar with but not many are necessarily willing to admit to. Slowthai is the definition of self-made and he speaks to many of the young people in the UK. They feel lost, they feel the problems of knife-crime and Brexit and romance and slowthai understands them. Demanding mosh pits and amping up the crowd at every opportunity, the rapper leapt across the stage clad in Supreme boxers. Chatting away charmingly between tracks, while the rapper was confident he seemed strikingly humble as he thanked the audience multiple times. Tattoos on full show and grinning down with that famed gap-toothed smile, it was impossible not to fall a little bit in love with him. The set treated the crowd to a raucous bunch of tracks like ‘Gorgeous’ from debut album Nothing Great About Britain as well as an unreleased collaboration with Denzel Curry to be released sometime next year. It’s undeniable that the atmosphere was nothing short of spectacular. It felt like you were lost in the midst of something that really felt like the future – something cutting edge and fresh. 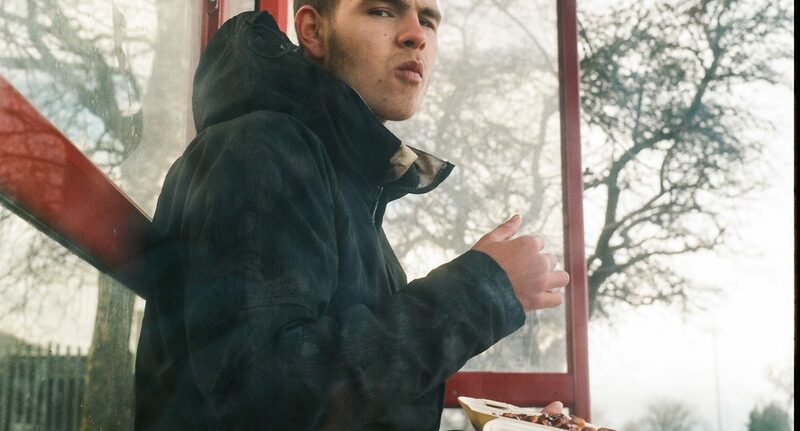 Superbly raw, slowthai came to an end with two of his best – ‘T N Biscuits’ and Mura Masa collaboration ‘Doorman’. The final song of the set had the whole crowd spitting back ‘two’s up, two’s down, you stub it out before I finish on my arm and I scream out “wow!” with delight. The whole gig pulsed with energy, feeling like it lasted forever in the best way possible. A privilege not only to witness but to review, slowthai was a night to remember.